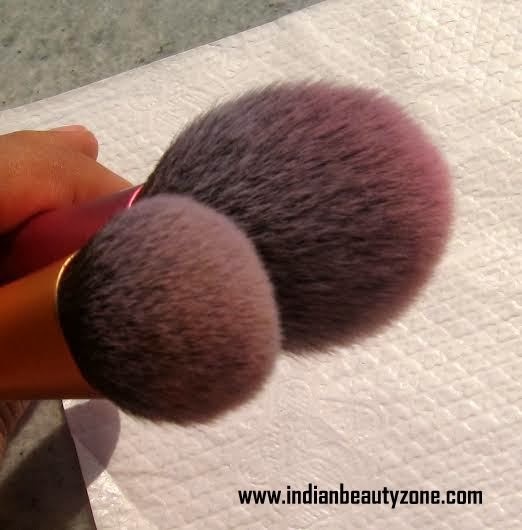 When you have Makeup brushes, it is always necessary to keep it clean. And when it’s about my Real technique brushes I never want to take chance to keep it dirty, but I found it is really hectic to clean all my brushes every day or after every time I use it. And finally I found my ultimate solution….what it is? 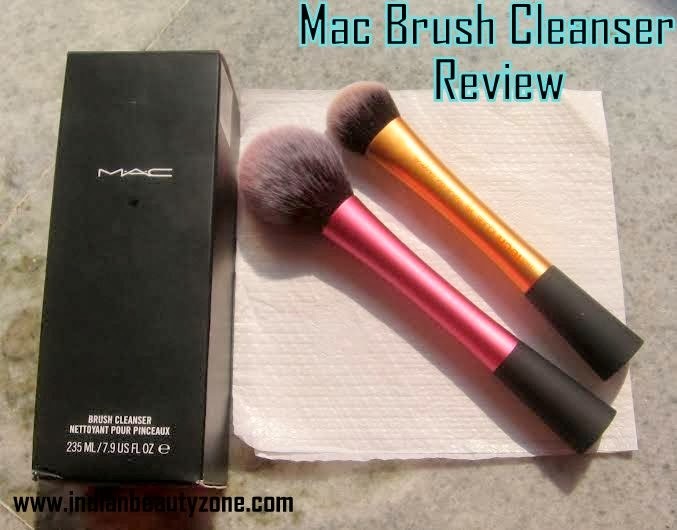 Kindly read on… Mac brought Brush cleanser for lazy people like me! Price: - Rs.650/- for 235 ml. trust me it is a huge amount! 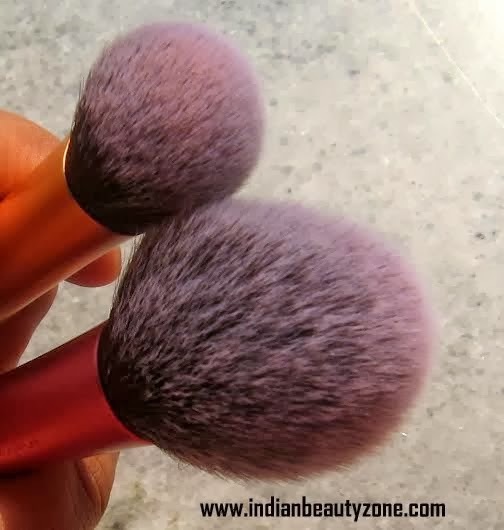 leaves your brushes smelling fresh and clean, and helps shorten their drying time. As I told you I found it really hectic to wash and dry my brushes every day or after every application, but after buying few rt brushes I could not take risk to keep it dirty as those are my favorite brushes. So finally I was looking badly for something that it easy and affordable cleanser for my brushes. And my search end up on Mac store when I saw the brush cleanser. 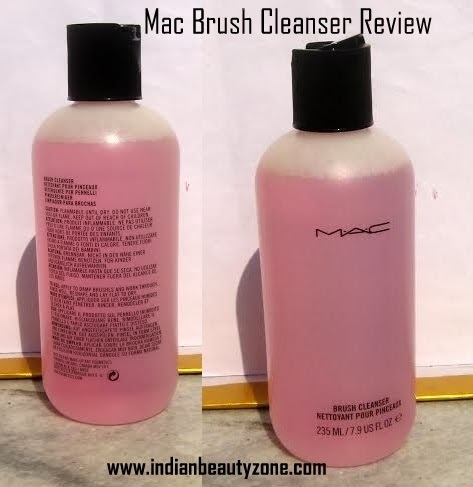 At first sight I must admit that I thought…”is this cleanser amount is enough for my rt brushes for few months at least as it is only 235 ml.” But the SA girl of mac store told me that it going to lasts long. I must say she hasn't lied. I clean my brush at least more than 20 times and after that I sit down to review it, so you can see only few amounts are used till now. The cleanser is easy to use, require really few amount for per brush and it disinfects the brushes too. 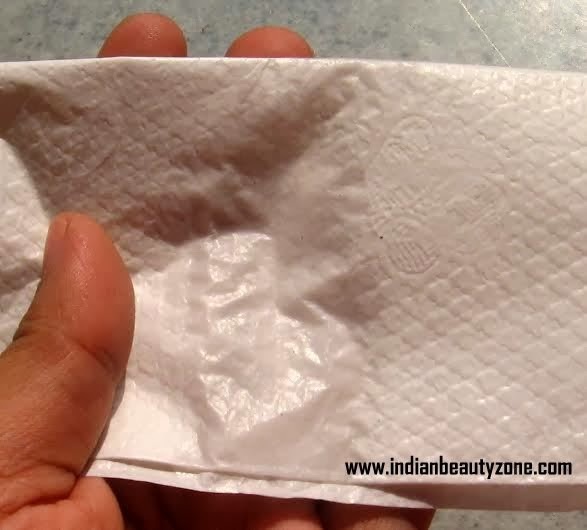 I took a tissue paper, pour few drops of cleanser on it and then I rub rub the tip of the brush to clean it and within few seconds I am done. That's it my brushes are ready to use and the cleanser dried like spirit in a moment after cleaning the brushes. 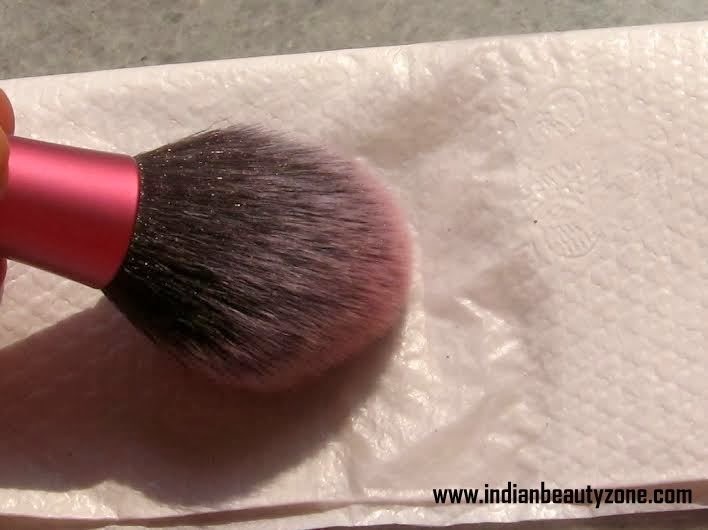 If your brushes are really dirty and you want to clean many brushes at once the SA girl told me to pour half cup of cleanser in a bowl and mix water to required amount into it and then dip all your brushes at once, keep it for sometimes and then wash under lukewarm running water and you are done…Keep the brushes after towel dried to let dry. The cleanser helps to disinfect so I think it is the best thing in it. • The amount is enough to lasts really long. • The cleanser has disinfected property. • The cleanser makes really brushes clean and perfect for use again. • The cleanser has no smell and it immediately vanishes when it is clean in tissue paper process. • I didn't found any dislike of it till now.